D’Angelo released a new song! The song, titled “Unshaken” was composed and released for horse-simulator video game and labor nightmare Red Dead Redemption 2. D’Angelo is a huge fan of the Red Dead Redemption series, and was invited to play the recently-released sequel and provide feedback. This article at Rolling Stone goes further in-depth behind D’Angelo’s fandom, and how the song came to exist. The content of this clip: tragic. The pronunciation of the name: nearly as tragic. I was wheezing laughing at this. I asked if she would tell me off the record. She would not. I asked if she would tell me off the record after this piece was published. She would not. I told her I couldn’t die without knowing. She guided me to the automotive grade pigments. The rest of the article is almost equally as wild, even spawning a great companion Reddit thread where users offer their theories on the mystery industry. Two years ago, animator Don Hertzfeldt dropped World of Tomorrow on our undeserving Earth. An animated short derived from recordings of his (then) four-year old niece Winona Mae, it featured a young girl named Emily who is visited by a third-generation clone of herself (voiced by Julia Pott), who looks to retrieve a lost memory. Over the short’s 17 minute runtime, it manages to say more than films with ten times the runtime, covering love and loss and existence over galaxies and time. This past week, Hertzfeldt returned with a sequel, World of Tomorrow Episode 2: The Burden of Other People’s Thoughts, for a somehow even less deserving Earth. This time, with more unscripted recordings from his niece (who was five when recorded in December 2014), Emily is visited by another clone of herself, who currently serves as a backup of the original Emily’s consciousness, but wishes to free herself of that in order to live an independent life. This time, the 22-minute film delves into the subconscious of both Emily-s, The Burden of Other People’s Thoughts reinforces the first film’s message about living in the present, while also exploring other, more complex themes, all while being disarmingly funny, thoughtful and ambitious, and all within the runtime of a standard TV sitcom. While the first episode is available on Netflix, Episode 2 is available to rent from Vimeo; both are essential viewing, some of my favorite films in recent memory and both are well worth your time. WORLD OF TOMORROW EPISODE TWO: THE BURDEN OF OTHER PEOPLE'S THOUGHTS from don hertzfeldt on Vimeo. 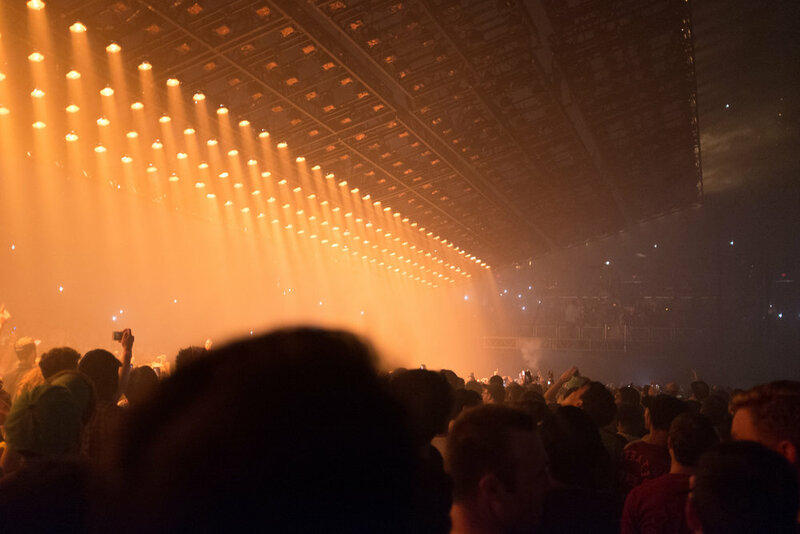 Today marks a year since I had the chance to see Kanye West when he brought his Saint Pablo Tour to the then-Verizon Center in Washington, D.C. (it has since been renamed to the Capital One Arena). 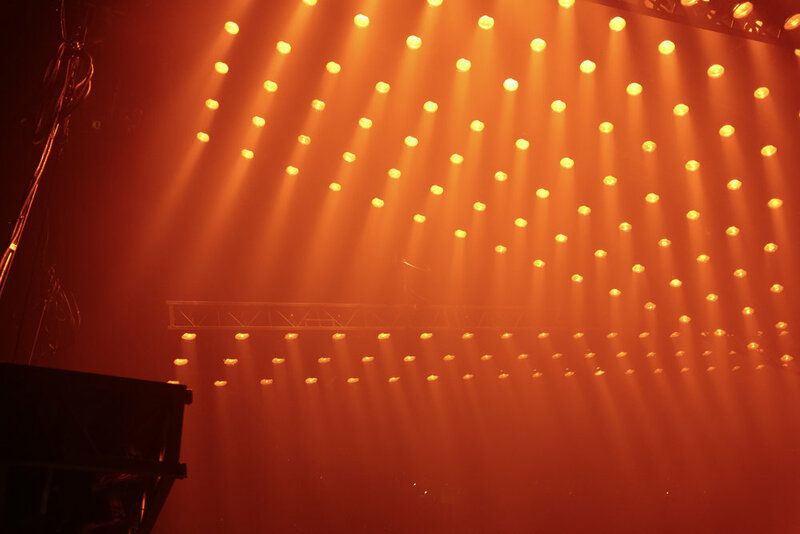 While I had read reviews of previous shows that talked about a floating stage that moved across the arena, reading about it and actually seeing a no-joke smoke spewing platform coasting by you were two very different things. 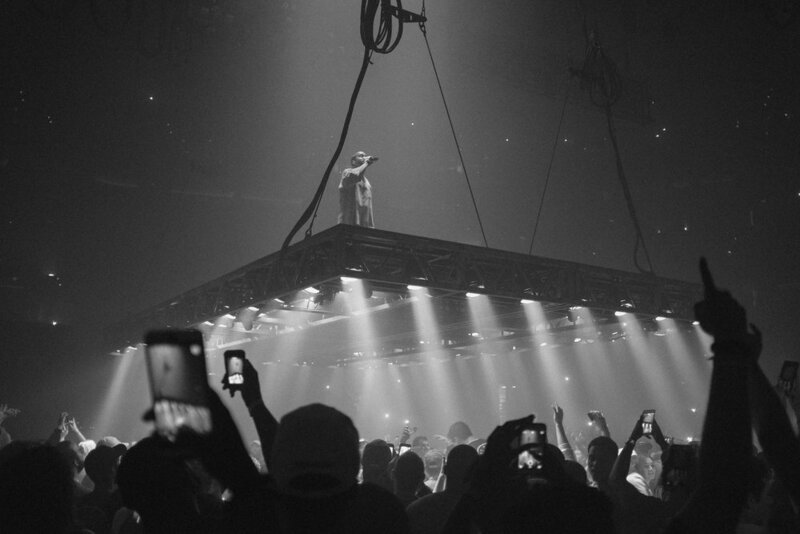 The show itself now stands, in my memory, as one of the greatest single concerts I’ve ever been to, as West went through over two hours of hits while his set threatened to rapture everyone right out of the arena. It was the first time I’ve been in the pit for a major arena show, and the experience was surprisingly one of the most pleasant I’ve experienced at a show. Rather than everyone jostling and jockeying for the best position, the nature of the stage meant that wherever you were standing could be the best seat in the house at any point in the show, and that, combined with the fact that the show was full of hypebeasts who wore their best shoes out for this show, meant everyone was fairly considerate about personal space. 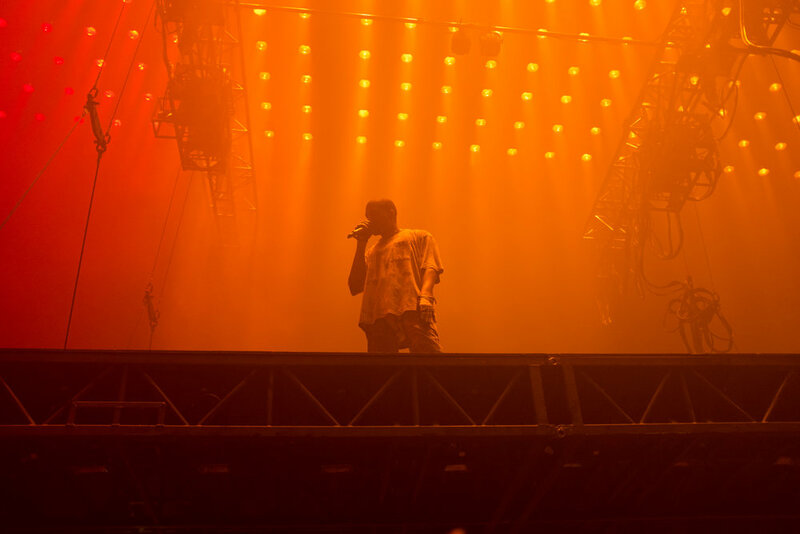 While the rest of the year for Kanye would be marked by personal strife, Trump support nonsense, and a mental breakdown necessitating the cancelation of an extra leg of the tour (including a return to Verizon Center that I was looking forward to after convincing a whole mess of people to join me for it), for me he’ll always have this show, one that provoked a genuine sense of awe in me the way few other artists can muster. I’ve posted a few pictures on Instagram, but here’s a more complete collection of them, in full resolution. All the pictures were taken with a Fujifilm X100T, with some processing in Lightroom with VSCO Film afterwards for most of them. Find the setlist for the show here.